Happy Friday super troopers, I hope your loins are prepared for another dose of Microsoft news, as today we look back at the last 7 days of the company’s work. Unlike most years past, we don’t have much from Microsoft that relates to CES; as you know, the company gave up its expensive keynote slot at the event. That in mind, our mix this week is more varied than it might have been before. That aside, do ensure that you are following TNW’s Microsoft channel on Twitter and Facebook, and let’s dig right in. 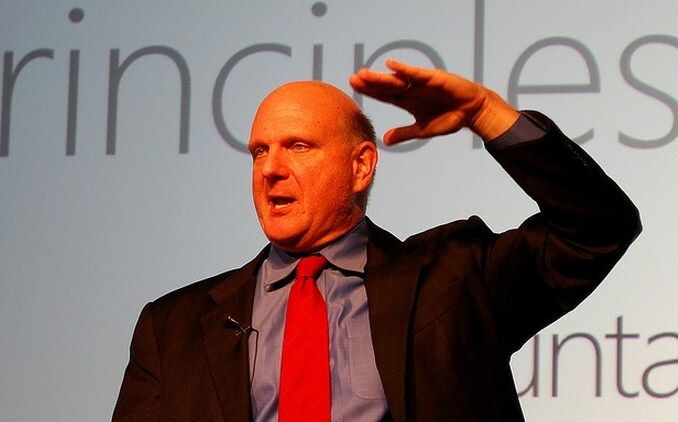 Microsoft has sold 60 million licences for Windows 8, including those in sales channels at partner OEMs. There are not 60 million PCs running Windows 8, but the statistic matters as it helps us draw a picture of momentum: From November 27th to January 8th, Microsoft moved an additional 20 million units of Windows 8 to OEM partners, consumers, and corporations. Days from November 27th to January 8th: 42. 20 million new Windows 8 licences sold in 42 is a rate of: 476,190 per day. This is actually somewhat weak; at this rate only 173.8 million copies of the operating system will be sold in 2013. By comparison, 352 million PCs were sold in 2012. Presumably, Windows 7 makes up the lion’s share of the remainder. Still, Windows 8 is not a flop. That said, a hit it is not. Update: The lovely Peter Bright of Ars Technica has news on the retirement of Messenger. As you might expect, it’s far more complex than what Microsoft has outlined. Read his post here. Skype continues to find new integration points in other key Microsoft products. This week an update to the Skype Windows application brought it into the Outlook desktop application, allowing for users of that software to see when others are online. Calls placed from Outlook 2010 and higher will cause the Skype application to either start, or rise to the fore for the call’s execution. Microsoft on Tuesday started mass emailing its 100 million+ Messenger users to let them know that the service is officially being retired on March 15, 2013. On that date, all users will be migrated to Skype, which Microsoft acquired back in May 2011 for $8.5 billion. This means Messenger will be shut down in just 66 days. It will only keep working afterwards in mainland China, mainly because Skype is operated there by a local provider called TOM. It’s game time folks. The move will bring a massive, fresh influx of users to the Skype ecosystem, providing it with a bump to its usage statistics, and perhaps, revenues. In terms of bad PR, you can’t do worse than that. It’s a clear, honest, and nuanced take on the issues that Windows RT faces. The educational component is something that TNW has mentioned through the time up to the launch of Windows 8 and RT as key; Microsoft hasn’t delivered as it might have in terms of helping the population grok the differences, and similarities between the two. Now knock off and have a green smoothie.